Exams: How To Prepare Like A Pro! It’s mid April, which can mean only one thing – exams are just around the corner. Timetables vary from university to university, but generally exam season is late April to the end of May and it’s a period that results in a lot of stressed students camping out in the library, cramming for their final assessments. Coupled with the fact that you probably still have coursework due in, April and May can quickly become the months we dread the most each year over the course of our degrees! 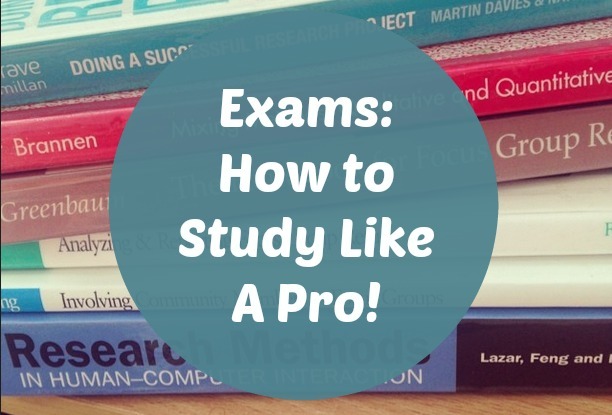 So this post is just a few tips on preparing for your exams like a pro! Taking all of these tips into consideration might make this stressful time a little bit easier. This isn’t just a study tip, but a general life tip, and it’s one that I’m still having to work on. And since it’s currently 1.30am when I’m writing this, I’d say I still need to improve! I’m a night owl, always have been, and there’s nothing wrong with that – if you’re at your most productive at 1am, that’s great! Just make sure that you don’t have to be up at 6am the next day. Your sleep pattern can be whatever works best for you, as long as you’re clocking up enough hours before and after a huge study session. Sleep does wondrous things for us – it is proven to improve memory (clearly a plus when revising for exams! ), increase creativity and lower stress! When you have several exams to study for, it can become overwhelming. You might have three exams in a week, so sitting with all of your notes for each subject scattered around your desk will not help you feel any better about it! I’ve mentioned enough times by now my love for To-Do Lists and planners, and these can be your best friends at a time like this! Write down all of your exams dates and prioritise. That way you know exactly how much you have to do and rather than worrying about it, you can just start working on it! Group study sessions do not work for everyone. When it comes to prepping for exams, some people like nothing more than to congregate with their classmates to study, and there are lots of benefits in this. Bouncing ideas off one another might spark something in you, and can be a great way of covering more ground quickly. However, for others, group study sessions are a nightmare – you begin to panic that everyone knows more than you (which they don’t!) and you’re lagging behind (you’re not! ), and that can have a massive impact on your ability to concentrate. So just figure out what works for you and go from there. As long as it isn’t during a group project, there’s nothing wrong with deciding you study much better holed up alone in your room! Your brain can only take in so much information at a time, so don’t try to force yourself to keep going when you’ve reached that point. If you’ve been in the library for five hours and realise than in the past twenty minutes you’ve read the same sentence ten times, while absent mindedly checking your phone, it’s time for a break. Going for a walk, stopping to have lunch with a friend, or even just giving yourself a half hour “social media” break to check your twitter/instagram/Facebook can work wonders. You’ll feel much better taking a deliberate break than you will if you accidentally waste an hour just sitting blankly staring at the computer screen! This sounds like an absolutely ridiculous thing to say considering these marks affect your degree, but try to take the pressure off, and remind yourself that you can only do your best. If you’ve put the work in, you’ll more than likely be absolutely fine. And if it doesn’t go as well as you’d hoped, it’s not the end of the world! It’s all part of the big old uni learning curve. This is something I was terrible for – I put a tremendous amount of pressure on myself round about assessment time, and it’s never conducive to a calm mind set! Keeping things in perspective is always helpful – each exam is just one piece of the university puzzle, and while striving to do well is great, it’s never worth making yourself ill with worry! Put in the work, do your best, and that’s all anyone can ask of you! If you have exams coming up soon, good luck!! I hope you’re managing not to stress too much, and just think about what a great month June will be! What are your top tips for exam study? So You Want To Study: Public Relations! Happy Friday all – hope you’re having a lovely to start to the Easter weekend! 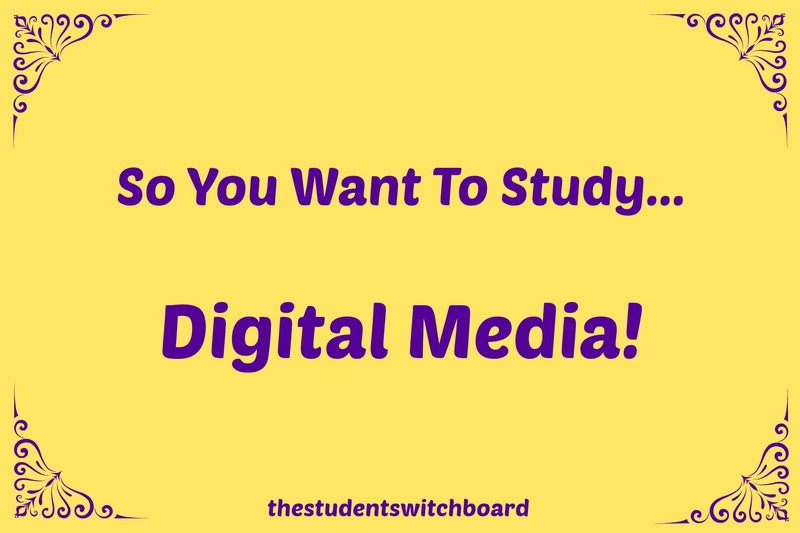 Today I’m delighted to bring you the second in the “So you want to study” series! 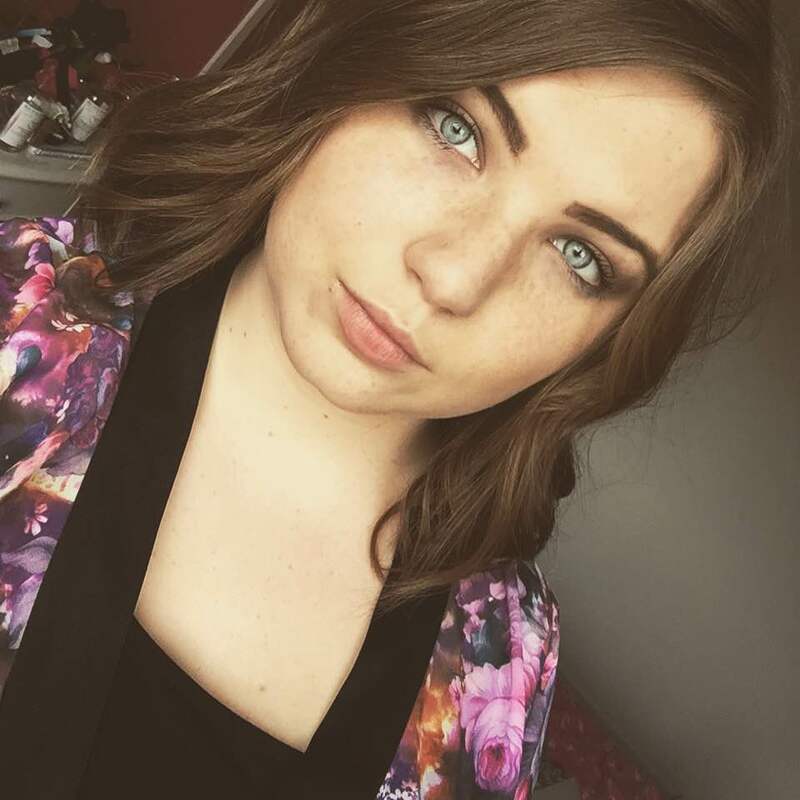 This post comes from the lovely Sophie from Books and Beauty, who is here to give us a bit of insight into what it’s like to study PR! If you have always dreamed of working in the media, like myself, then a degree in Public Relations could be for you. Since before I picked my GCSE’s subjects, I always knew I wanted to work in the media. When I say media, I mean magazines, newspapers and anything remotely related to that sector. Many people view ‘the media’ as the monthly glossy women’s magazines or daily national and regional newspapers. However the media is much more than that. I always thought I wanted to study Journalism. I had the hazy view and false representation that journalism was interviewing celebrities and attending star studded events, possibly even becoming a news presenter. I even lined up work experience at my local newspaper to give me experience before I started university because I was so determined to become a journalist. When I went to university to study it, I decided it wasn’t for me and researched other areas of the media where I could still express my creativity through writing and discovered Public Relations. Choosing to study Public Relations was the best decision I ever made. I had no clue what it was about or what was required to become the best PR practitioner. University helped me with that and my time there and studying PR is something I consider as the best time of my life. In a nutshell, Public Relations is engaging with the public through the many aspects of media; social, print, online, broadcast. You are the person responsible for getting a company or organisations voice and message across to hundreds and thousands of people, and when you do it right and see your work in publications, there is no better feeling. When first studying PR, many of my course mates, myself included, thought PR was like Absolutely Fabulous and everything related to Max Clifford. If you have that image of what PR is like, get rid of it! Not to dampen spirits, but Public Relations is much more than that. It’s about communication, engagement, listening, speaking. I thought my course would be filled with girls who dreamed of working with celebrities and high profile clients. Not to say this won’t happen, because it could! But you won’t start off doing that straight away. Despite my course being 90% girls, there were also plenty of males who knew what sector of PR they wanted to work in and were ready to face the challenges and assignments thrown at us. Public Relations assessment at university is 95% writing based. Assignments are the main type of assessment but you are also required to do presentations on topics related to PR. In your final year you are also required to complete a Dissertation on a topic of your choice, or an Applied Project where you undertake work experience at a company. Those are just a selection of some of the modules you can expect to study when doing a Public Relations degree. Don’t let the titles of some of them put you off, though! Public Relations is an age old industry dating back to the 1900’s and despite only being recognised as an academic course around 30 years ago, the industry is continually developing and fast becoming a preferred course for those wanting to work in the media. 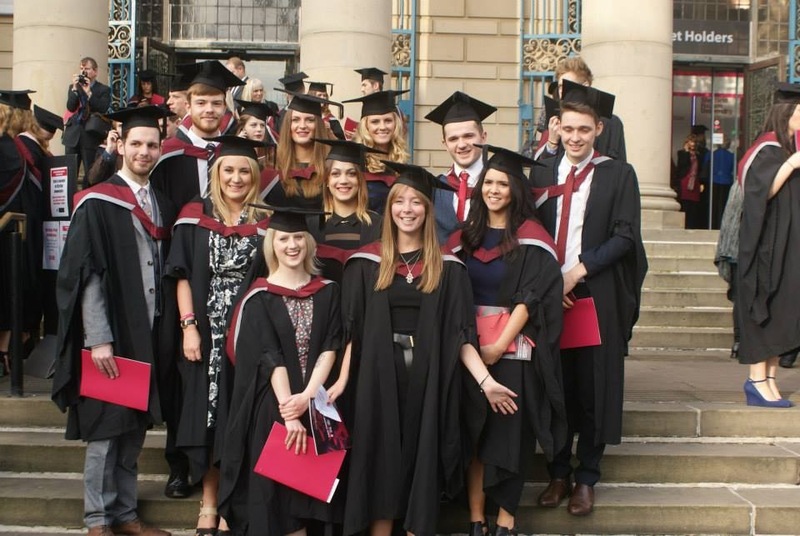 I hope this gave you some insight into what it is like to study PR! I now work at a PR agency as a Junior Account Executive and absolutely love my job. If you would like to know any other information on Public Relations or university experiences, please contact me! I would be more than happy to help! Have a lovely holiday weekend everyone, and I’ll see you on Monday for a new video! Music is a massive part of my life, and played a large part in my studies. 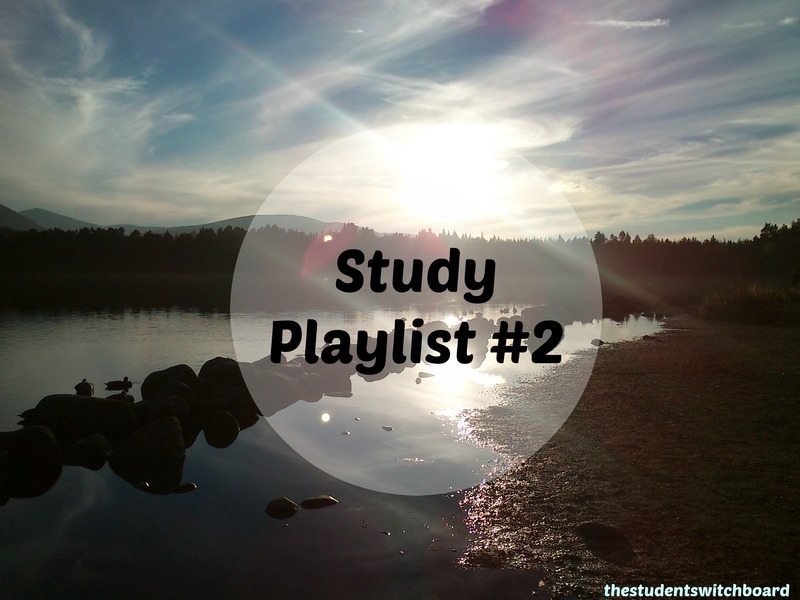 In my first study playlist, I talked about the huge impact finding the right music to listen to while studying can have on how successful a study session is! Pick the wrong album (in my case, anything with words!) and you might find yourself distracted, singing along and getting nowhere. Find the right music, however, and you can be well on your way to getting that essay or report out of your hair forever! Today, I’d like to introduce you to another three albums which I listened to repeatedly during that crazy assessment period last year! I can hardly believe it’s April again already. This time last year, I was just a couple of weeks off finishing up my classes, and preparing to lock myself in the library for what were three of the most hectic weeks of my life. These were some of the songs that kept me company during that time – and probably kept me sane! – and I hope they can do the same for you. Hammock weren’t a band I had ever heard of until last year, and I discovered them around the same time I discovered God is an Astronaut and Tycho. Described as having a “unique sound that effortlessly melds elements of ambient, electronic, neoclassical and post-rock, this is another instrumental band, perfect for studying without the distraction of vocals! Jonsi is the lead vocalist from Sigur Ros, who are one of my favourite bands in terms of this sort of music! However, I know Sigur Ros just a bit too well, and while I can’t exactly sing along to Icelandic vocals, it was reaching the point of being a little distracting. Enter Jonsi’s solo album, Go! If you’re looking for something super cheerful and uplifting, this album is it. You might recognise track one “Go Do” from a Philadelphia advert last year! And finally, another post-rock band, This Will Destroy You’s music is along similar lines to God is an Astronaut and Hammock, and I love it. It’s unobtrusive in as much as it’s instrumental, but it has enough of a kick that it keeps you awake rather than lulling you to sleep like some instrumental music can start to do! I’m not sure why this album motivates me so much, but I’d definitely give it a listen if you’re struggling to find music to suit your studying! So there you have it – three more of the albums that made studying for my Masters just that little bit easier! Even if you aren’t studying, I would recommend checking out these albums because they are all fantastic! What albums have you been listening to lately? Let me know in the comments! And remember – there’s still time to enter my book giveaway, it closes on the 6th April!! So you want to study: Veterinary Science! Happy Friday all – I’m so excited to bring you the first in my new series today! 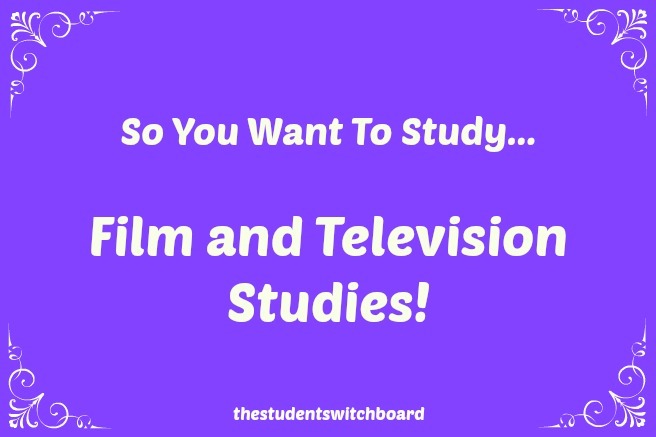 “So you want to study..?” is a series I mentioned a few weeks ago, where guest bloggers can create a post telling you all about their experience of studying a particular course! 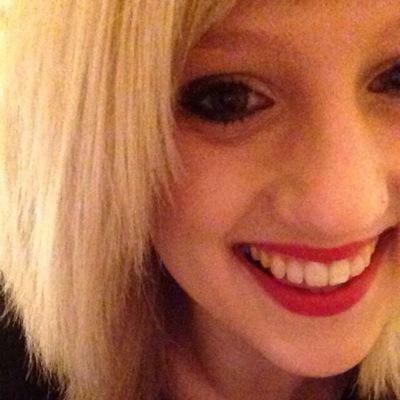 First up, we have the lovely Emma from A Little Freckle. 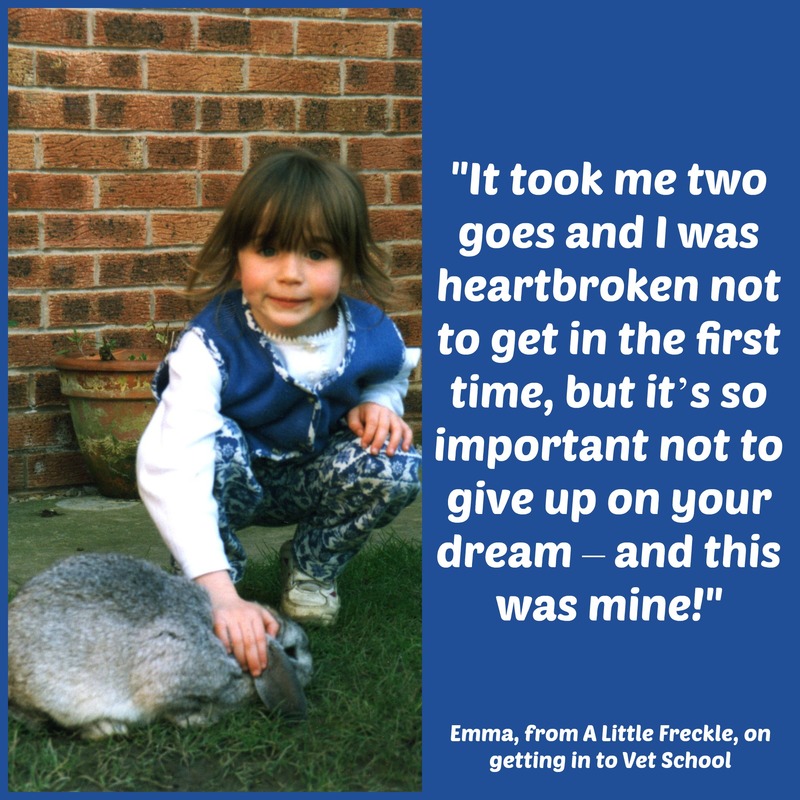 Emma is studying Veterinary Science, and kindly took the time to give us a little insight into what it’s really like to study to be a vet. So take it away Emma! First things first, if you want a job that will make you rich then stop reading here…Veterinary is not for you!!! It is a common misconception that vets are rolling in the money. Their salaries are often compared to that of Medics and Doctors, which is just not how it is. If you want to be a Vet you have to have the passion to want to do it, otherwise you might be left very tired, stressed and disappointed. 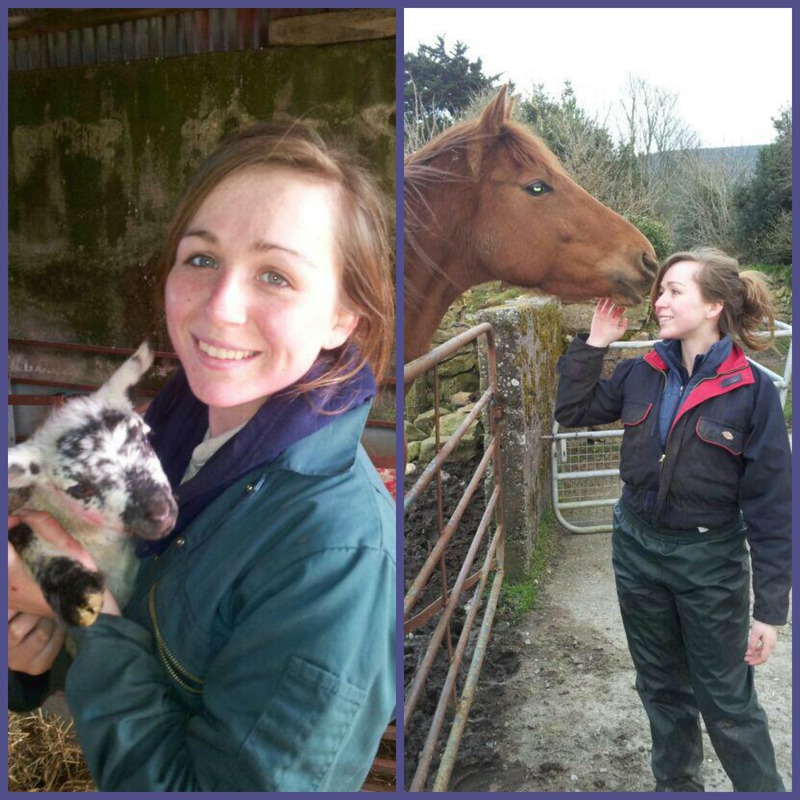 I’m Emma and I’m passionate about Veterinary Science! I have wanted to be a vet ever since I can remember. Initially, it was because I used to watch Animal Hospital on TV and there was a vet on that called Emma, which I loved. As I got older, I looked into it a bit more and despite being told how hard it was, I was never put off. In fact, the more I learnt about it, the more I wanted to do it. Veterinary offers the chance to work with both people and animals! You can’t really say you want to be a vet because you don’t like working with people, because actually, you work with both sides of the lead and either one can be pretty aggressive at times haha! You also get to play detective because ‘animals can’t talk can they? !’ – you would not believe the amount of times I have had this said to me! If you like problem solving, then maybe veterinary is something you’d enjoy as this is a skill you will need to use on a daily basis. 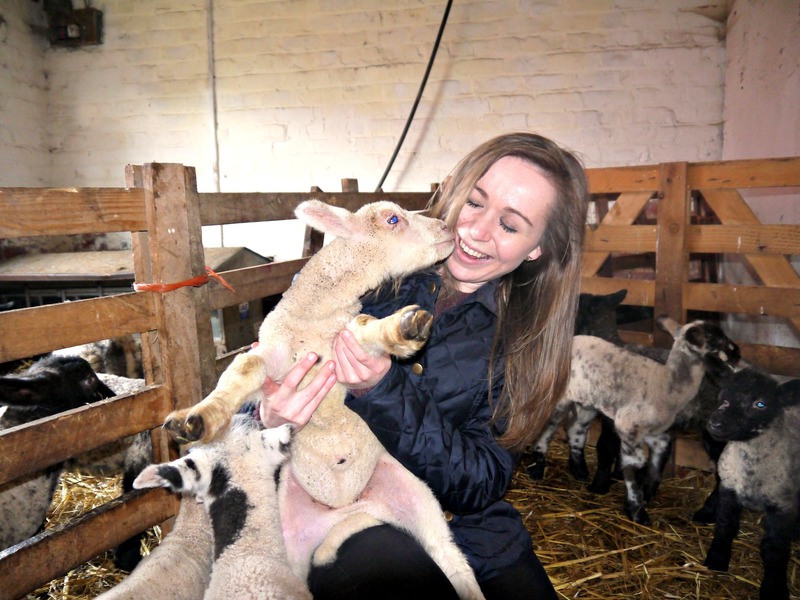 Before applying for the course, it is essential to have some work experience – my particular vet school ask for a minimum of ten weeks and it should include things like working in kennels, on a dairy farm, at a stable and in veterinary practices. As a five year course, it’s best to get an idea of what you’re getting into before you sign up! You will also be interviewed about these when applying so make sure you know your stuff! 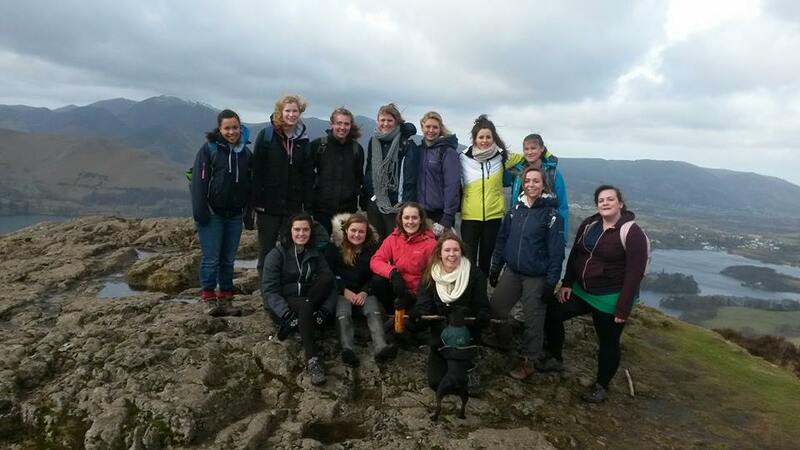 Having fun at the Vets Halfway Weekend in the Lake District! The work load can be overwhelming at times but many of the vet schools have very active societies and organise lots of social events – work hard, play hard! It is like a big vetty family and it’s so lovely and supportive! You will have to give up more of your time in the holidays too in order to do compulsory placements, but these are usually really fun! Getting into vet school is tough as there are only 8 in the country with limited places! It took me two goes and I was heartbroken not to get in the first time, but it’s so important not to give up on your dream – and this was mine! I have so much to say about this topic as it is without a doubt my biggest passion, so if anybody is thinking about being a vet, I would love for you to contact me to find out more! Thanks so much to Emma for taking the time to write this post! You can find her blogging away over at A Little Freckle, or follow her on twitter at @alfreckle and instagram at @reils92! I’m so pleased to have the first in this series live – keep your eyes peeled for the next post, which will go up two weeks from now!! And remember to check out my last post to find out how you could win a copy of the amazing book “How to be a Knowledge Ninja” by Graham Allcott! 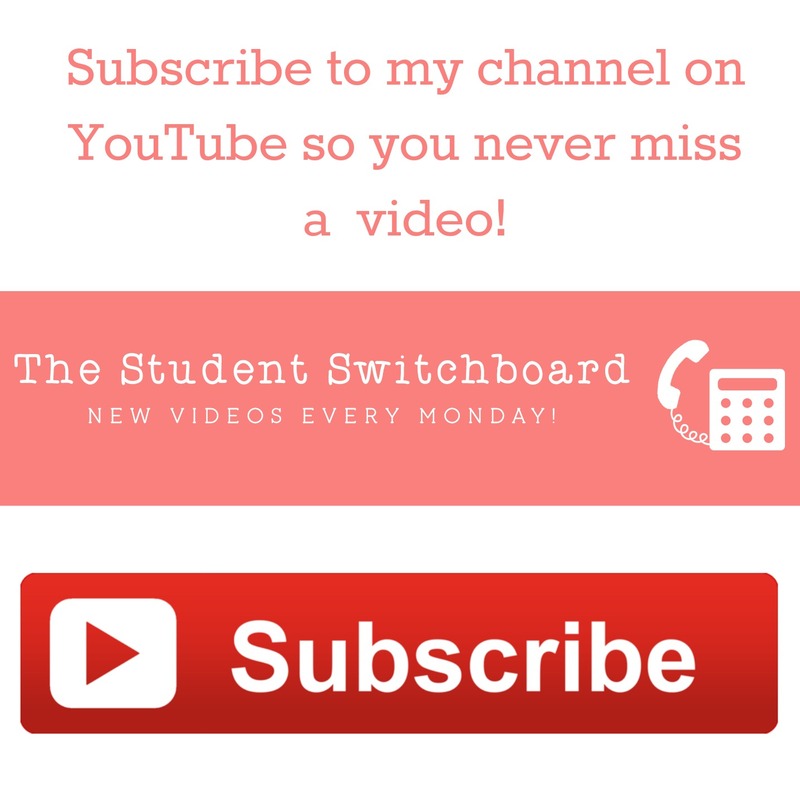 If you would like to write a guest post for this series, please drop me an email at thestudentswitchboard@gmail.com, or contact me at any of the social media links below! Thanks for reading – have a great weekend! Hello all! Hope you’re having a great week! I know this is a seriously busy time of year! I just wanted to let you know, if you’re not subscribed to my YouTube channel, that I have a super exciting video on there this week! I reviewed “How to be a Knowledge Ninja”, by Graham Allcott, a book which aims to help you “study smarter, focus better and achieve more”. It is packed full of amazing advice, but if you want to hear all my thoughts, check out the video! What’s more, the lovely folks over at Icon Books, who published this gem of a productivity guide, have given me two copies of this book to give away to you guys! The giveaway is running on Twitter and on YouTube, and closes on Monday 6th April at 6pm. To enter, here’s what you have to do! To enter on Twitter, follow me @studentswitch, and tweet me, using the hashtag #knowledgeninja telling me which ninja skill you’re keen to improve! Do you need more balance between study time and socialising? Or maybe you could do with improving your focus! To enter on YouTube, subscribe to The Student Switchboard and leave me a comment, using the hashtag #knowledgeninja telling me which ninja skill you’re keen to improve. Could you do with learning to be more ruthless, and say no to extra time consuming projects? Also, please feel free to share this video on Twitter – I was very kindly sent a copy of this book to read, but I can honestly say I think it is a brilliant resource. There are chapters in there that have me rethinking the way I’ve done things all my life, and it is so well written!